Auto Xtreme® is the exceptional result of a 2 year collaboration between Dutch Passion and DinaFem using some special Haze genetics from Dutch Passion. The project took a lot a careful growing and selection before we were prepared to approve it. The genetics are based on our Outlaw Amnesia® (Amnesia x Super Haze) photoperiod variety and have been adapted into an autoflower which delivers a powerful sativa Haze influence alongside very generous yields. This variety is exclusively available from Dutch Passion. Auto Xtreme® is harvested around 80 days after germination. 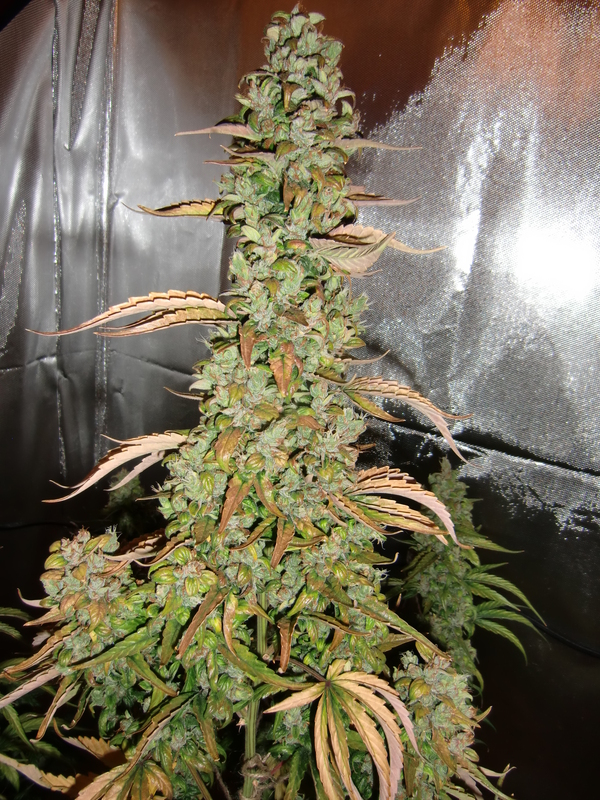 This is a little longer than other autoflowers, but with this variety the extra time was needed to give the best combination of potency, taste and crop size. As a result the plants may be a little larger than usual, up to 1.5m tall. This is a new autoflower and one which will be very hard to beat. Excellent branching Side kolas almost as big as the main one Basically 9 huge ones and a dozen or so fist size bud.Picked on day 85 from seed .Few different versions.Sativa version is very stony and energetic.Still drying the other three plants . Got 5 ounces dry per plant. does anyone have a tried and true schedule for DWC Autoflowers using the 3 pt GH flora series nutes? 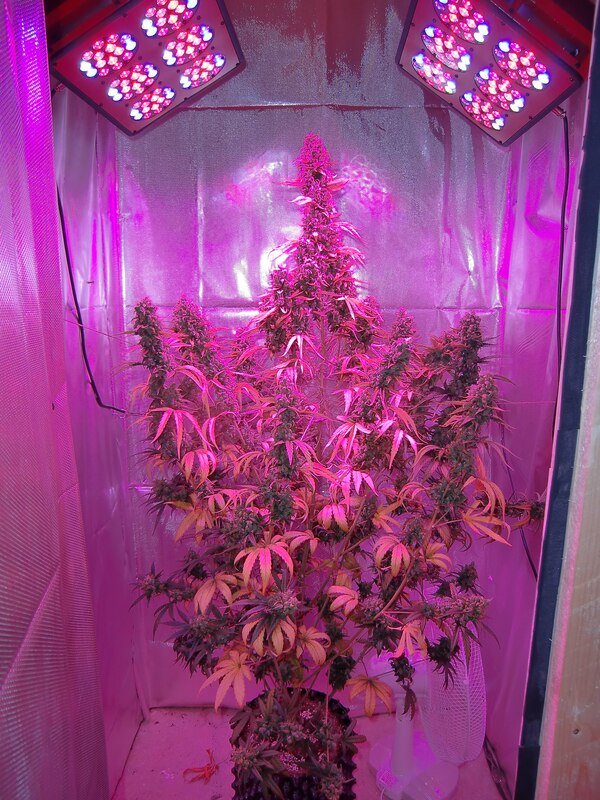 Can i grow 4 of this beautifull lady under a 250w hps lamp? Si, when to chop the plant is really down to personal taste. Some people prefer early harvest, others prefer the heavier stone from a late harvest. 82 days old now been flushing dwc for 5 days old lots of cloudy trichromes amber pitsils, should i be hanging on for amber trichromes or is it time to chop ??? Auto extreme was easy to grow. I got 3 seeds and they game me no trouble the whole way through. I had a humidity issue so I left the lights on 24/0 per day. They didn't mind all that light in the slightest. Around day 75 I chopped them. They are now my favorite auto strain. I grew them with a few other sativas but the autoextreme high is the best. It is a fun, sociable, energetic experience. I would recommend anyone to try this strain. You really won't be disappointed. Great yields and potency! hello, can I top it and then train it to increase yield ? Just harvested my grow. Must say autoxtreme delivered the goods. Nice flavour nice stone. Quite trippy. I've been using 400w dual spectrum lights grown in soil and the main cola on just 1 plant came in at 57.4 grams. Amazing strain. Well done DP you have done us proud. I tried a bud that had been speed dried, it had apparently flowered super fast and hadnt been flushed - and yes it tasted like plant food - but the smell was quite amazing when broken fruity but very unusual, as to the high - excellent, relaxing and uplifting and very trippy, very strong, very good . Are these seeds available at any retail stores in Amsterdam yet? Really want to get some. Most potent auto I have tried to date hands down. Very fond of this and if you didnt tell somebody they would never suspect it is an auto. Great job DP!